Add FREE family fun and music to your Labor Day Weekend festivities with the 13th Annual Wildwood Block Party and Music Festival on Sunday, September 3. The end-of-summer celebration will take place from 11 a.m. to 11 p.m. at Fox Park, located on Ocean Avenue directly across from the Wildwoods Convention Center. The festivities will include 12 hours of continuous entertainment, games, crafts, food, merchandise vendors, FREE live music and much more! The entertainment line-up will feature MFSB, Brass Transit…The Musical Legacy of Chicago, Jeremiah Hunter, Just In Time and Bittersweet. Admission to the Wildwood Block Party and Music Festival is FREE! 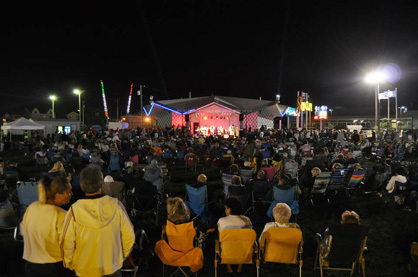 For additional information about the festival, please call 609-522-2444 or visit www.WildwoodNJ.org.